If you are looking for the best OBDLink scan tool that can be controlled from your Android, Windows or iOS device, then you have landed on the right page. OBDLink scan tools are favorite among car owners, DIYers, professionals, and mechanics as well. They incorporate a user-friendly interface, up to date software technology, and excellent features. If you’re a beginner and looking for a basic OBDlink scan tool then ScanTool OBDLink MX Bluetooth: Professional Windows and Android Adapter for Cars Trucks can be a good fit. OBDLink MX is the right fit for beginners. Besides having a simple user interface, it offers many basic features as well. CEL: Engine trouble codes are the most basic kinds of errors you will have to deal with as a car owner. It indicates a wide range of problems that can be difficult to diagnose without a scan tool. This diagnostic tool can diagnose these codes and help you solve the problem. ABS/SRS: You can find, read, and clear ABS and SRS codes on GM, Ford, and Mazda models. Faster: It only takes 12 seconds to complete a diagnosis. This is 2x faster than average scanners. Accurate Results: This scan tool is compatible with many apps, but the exclusive OBDLink app and Forscan apps work best with it. It will boost the software by 300%. 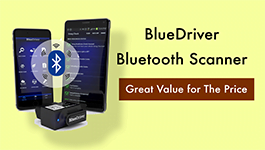 Bluetooth: The scanner can be connected to both Android and Windows phones via Bluetooth. All you need to do is plug the scan tool into the port, install the app on your phone, and make a connection. Hack Proof: This is one of the best OBDLink scan tools because of this feature. It works on 128-bit data encryption and provides excellent safety. DTC: If you have a GM vehicle then you can use the DTC feature using the ForScan app. This feature offers engine code explanation. Auto Sleep: The scan tool goes to sleep after 2 hours of no activity to save battery. Other Features: OBDLink MX shows detailed data, logs, graphs, and can also export data to PC. It supports all 1996+ cars and light trucks manufactured in the USA except for hybrid or electric vehicles. The scan tool supports the five major protocols as well. Apart from that, it supports MS and SW protocol in GM Ford. 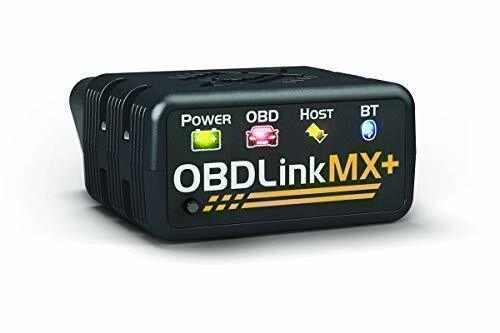 OBDLink MX can read and erase engine, ABS, SRS and transmission codes. Three years of repair/replacement warranty. Compatible with 3rd party apps (Torque and ForScan recommended). 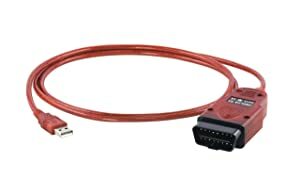 Can be connected to laptops and PC via Bluetooth. Can’t work with multiple PIDs at times. Who Should Take The Tool? A video of OBDLink MX. ScanTool OBDLink LX Bluetooth: OBD2 Adapter (Windows and Android) for Cars and Trucks is ideal for beginners who want to use basic features such as check engine light codes. If you’re looking for the best OBDLink scan tool that offers quick diagnosis, then consider OBDLink LX. It can read engine codes accurately and in a blink of an eye. With the right app, it can perform some tasks including virtual gauges, detailed graphs, logs, and exporting data. 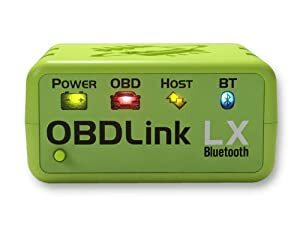 Bluetooth Connection: You can install the OBDLink app or download any third party app such as Torque and DashCommand to make a connection via Bluetooth and control the scanner with your phone. It will suggest repairs, display graphs, logs, and even let you export data to a laptop or PC. Battery Saver: Unlike most OBD2 scanners, this one uses minimum battery power (0.2 watts) and also comes with a sleep feature. 128-Bit Encryption: OBDLink LX is unhackable because it works on 128-bit data encryption. Long Lasting: This scanner is fireproof and also prevents overheating. Hence, it will last for a long time. It covers all 1996+ cars and light trucks manufactured in the USA except for hybrid or electric vehicles. It doesn’t support MS and SW protocol in GM Ford. OBDLink LX covers all OBD2-compliant vehicles, save for hybrids and electric cars. 90-day money back guarantees and three-year replacement/repair warranty. Automatic sleep and wake feature to save power. Increases the speed of software by 400%. No hidden charges when you use the OBDLink app (Free). A video of OBDLink LX. 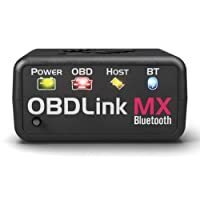 OBDLink MX+: Professional Bluetooth OBD2 Adapter for iOS, Android, Kindle Fire, and Windows Device is suitable for DIYers, enthusiasts, and semi-professionals as it offers many basic and a few advanced features. 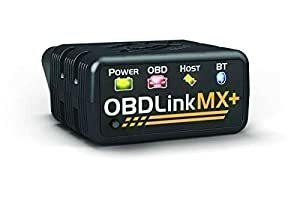 If you’re looking for the best OBDLink scan tool for your vehicle, then OBDLink MX+ can be an excellent choice. It supports iOS, Android, Kindle Fire, and Windows devices. It’s a compact diagnostic tool that doesn’t take up a lot of space and can be used with its OBDLink app to offer features like CEL, display fuel consumption, TPMS, check codes for ABS, and SRS. ABS/SRS: This scan tool can check ABS related codes and find faults such as broken sensors, damaged wires, etc. It also supports SRS codes and can identify issues in the system that are interfering with the airbag deployment. TPMS: OBDLink MX+ can monitor the pressure in the tires of your vehicle and notify you if it is low. Basic Features: You can check engine codes, current transmission temperature, measure fuel economy, customize dashboard, smog test, view DTCs, etc. It supports all 1996 and newer obd2 compliant models. OBDLink MX+ allows you to reset any system and turn off its warning light. You can buy an enhanced add-on to access manufacturer specific data. (around $9.99/ add-on). Supports multiple vehicles (require separate profiles). Doesn’t reset maintenance lights in Honda. A video of OBDLink MX+. Car owners who want to perform basic functionalities such as gauge fuel economy, distance covered, CEL can give ScanTool OBDLink SX USB: OBD2 Scan Tool (Windows) for Cars and Trucks a try. This is a UBS-based scanner that supports Android (3.1 above) and Windows devices. You can connect it directly to a laptop or phone and use via OBDlink app. This device offers many useful features and is also a breeze to use. Live Data: With this scan tool, you can see live data. It will show you the distance covered, fuel consumed, detailed graphs, logs, freeze frame data, and 90+ other real-time parameters. 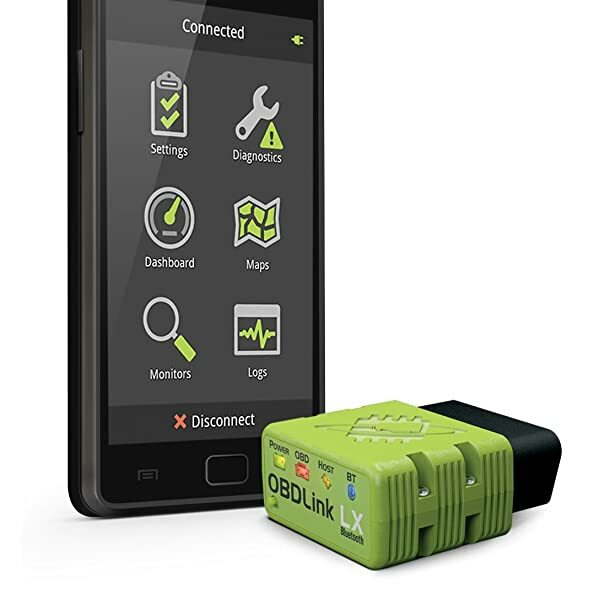 CEL: OBDLink SX can read all kinds of engine trouble codes and help clear the light. Fuel Economy: You can create custom economy gauge layout to keep an eye on fuel consumption. This can help you save money. 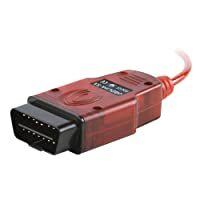 This plug and play device supports all 1996 and newer models that are obd2 supported (except hybrid and electric cars). It supports EOBD and JOBD as well. The OBDLink SX is the best OBDLink scan tool for a buyer with a shoestring budget. Over 7000 codes in the database to help you identify problems. Upgradeable firmware allows the device to cover more issues. Free license key for OBDwiz PC diagnostics software (Windows PCs, laptops). A video of OBDLink SX. These are the four best OBDlink scan tools that you can consider. Pick one that fits your requirements, and you’re good to hit the road.